When you’re investing so much time (and effort) into content marketing, not getting the results you’d hoped for can feel disheartening. I know the feeling. I’ve spent hours researching, writing and publishing what I’d consider to be the “perfect blog post,” only to return to my Google Analytics dashboard and see a mere 30 views. Are you the same? There’s one thing we’re both missing: Content promotion. Sadly, the ‘build it and they will come’ philosophy doesn’t apply to content marketing. You, as a business, need to promote the content you’re pushing out if you want to see any notable improvements on your site traffic or engagement. You can’t create content and expect to get results if people don't see it. 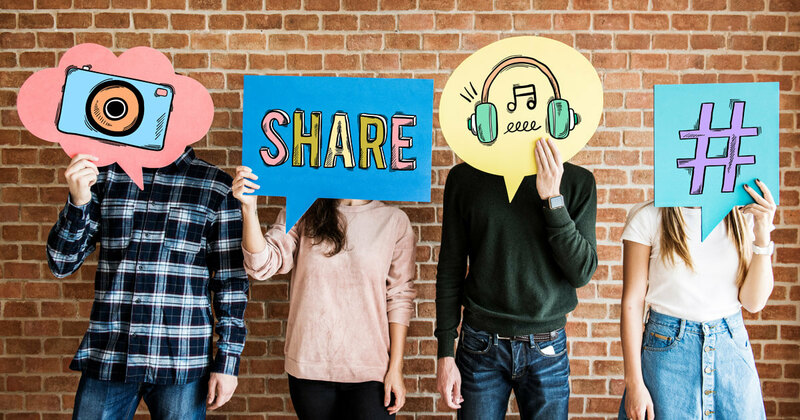 Luckily for you, there’s one content promotion hack that can turn this around: Sharing relevant content from your website in online communities. These communities can be found on social media networks (e.g., Facebook groups and LinkedIn groups), or sites like Reddit and Quora, or even forums. In this guide, I’m sharing exactly how to find and use these online communities to promote your content, along with the five-step process to use them effectively. Simply put: Online communities are groups of people who share advice, knowledge or stories on a shared interest. They can take place in forums, on social media, or even on their own website. That’s why online communities make the perfect place for blog post promotion. Since there’s one for every topic imaginable, there’s bound to be a group of your business’ ideal customers hanging out somewhere on the internet. Your job is to find it! 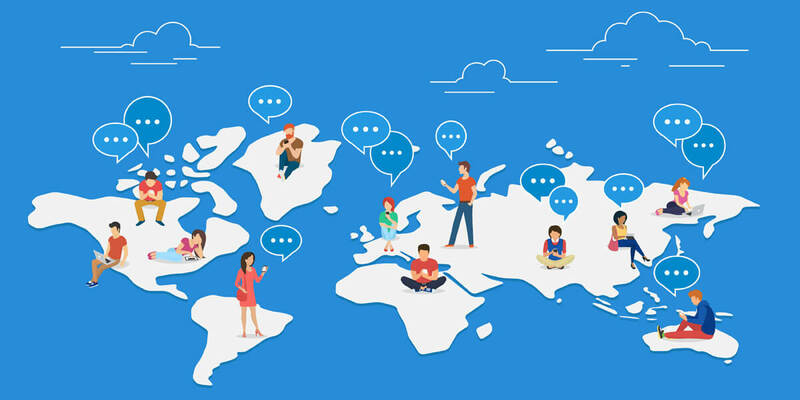 Why use communities for content promotion? Now we’ve ironed out the basics, you want to know how these online communities map over to your content promotion strategy, right? Contributing to online communities gets you involved with your target audience—that’s no secret. But what is often forgotten about is the impact your involvement can have on your brand awareness. 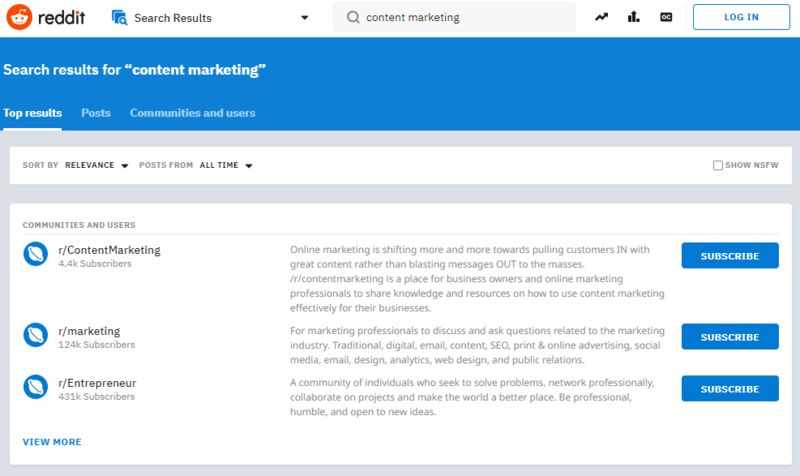 Think about it: If you’re positioning yourself as a knowledgeable person in the industry (through the content you’re sharing), you’re boosting the number of relevant eyeballs on your content. People who already have a vested interested in the topic you’re talking about will be exposed to your brand, website and business, as a whole. As a result, your business will be etched in their mind—much more so than a competitor who doesn’t contribute to the said community. That’s bound to boost your overall brand awareness. If you’re using online communities to promote your content in the right way, the people already in the groups will know who you are. And, because they know you, they’ll already be interested in what you have to say. People engage with content when they feel connected to it. I bet you’re the same. Think about the last time you commented on a blog post or responded to a tweet. What made you do it? Chances are, it’s because you resonated with something the author said, or you knew them and trusted what they had to say. 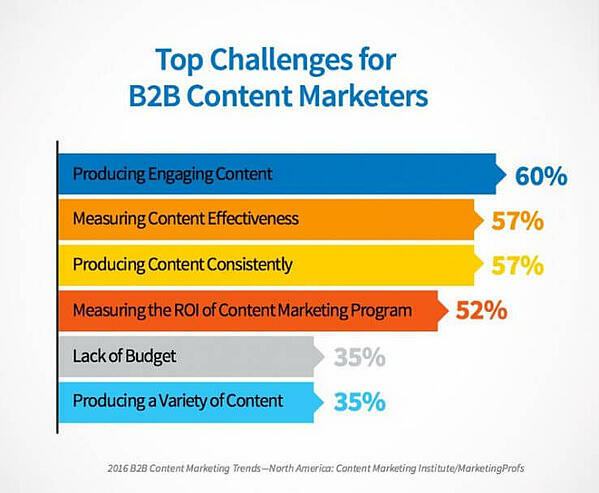 Considering 60% of B2B content marketers say producing engaging content is their biggest challenge, it’s a fantastic way to get ahead of your competition and boost your engagement rates. Ever heard the phrase, “any traffic is good traffic”? Don’t trust whoever told you—it couldn’t be further from the truth, and could be the reason behind your poor on-site conversion rates. Why? Because people purchase when they’re genuinely interested in something. If you’re driving any old traffic to your site through sites like StumbleUpon, there’s a very minimal chance of them taking action. For example: If you drove 100 irrelevant website visitors, only two may convert—leaving you with an overall conversion rate of 2%. However, if you’re driving relevant traffic (people who are actually interested in what you have to offer or say) to your website, they’re already more likely to purchase. In that case, you might only drive 20 people to your website, but if 10 of those uber-targeted people convert, your overall conversion rate is 50%. Online communities are a fantastic source for your business to find relevant, targeted traffic. Although externally linking from them can be frowned upon, the people you’re exposing your content to have a genuine interest in the topic—meaning they could be more likely to convert once they land on your website. Brand vs. personal accounts: Which is best? Thinking about joining these communities to promote your content? One question you might be facing is whether to contribute from your company profile, or your personal account. Providing an answer is tricky; Each has its’ benefits. Posting from a company profile helps with brand awareness. If your brand is seen to be knowledgeable, helpful and friendly in each forum you’re participating in, why wouldn’t you boost your presence—and overall reputation? On the other hand, posting from a personal profile helps to build a personal brand. Although you’re not explicitly mentioning you’re working on behalf of a company, you’re adding credibility to your name. As soon as someone realizes you’re tied to a business, both of your reputations will benefit. Ready to make a start on your new content promotion strategy and experience the benefits for your own business? First things first, let’s cover the basics: Who are you writing for? Your answer to this needs to be clear before we even think about promotion. After all, you can’t write a successful piece if you’re unsure about who it’s for. Take a look at your buyer personas to do this. Acting as mini documents that describe your ideal customer, the content you’re creating—and the places you’re promoting it—should map over. Once you’ve got these, make sure they’re conveyed in the content you are promoting. Discuss their pain points and make the reader feel like you really “get them”. 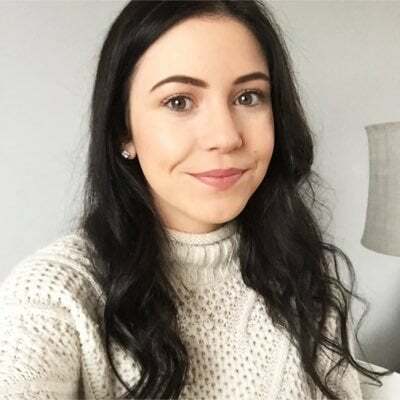 Then, when it comes to promoting your content in an online community, you know exactly what they’re looking for—and have a better chance of piquing their interest with what you have to say since you’ve already covered it in the piece itself. Got your buyer persona (and content) down to a T? Your next job is to find where these people hang out online. Facebook’s group feature allows people to create their own group, and add other members from their profile. 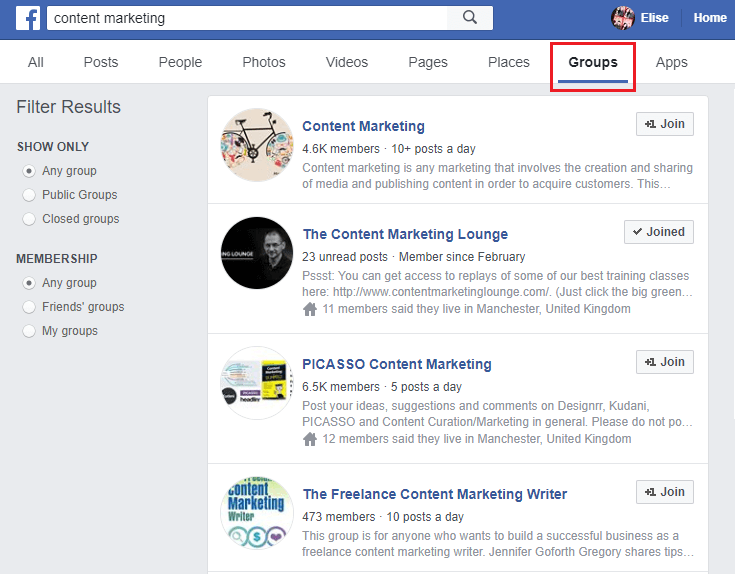 Using Facebook groups to promote your content is a fantastic way to boost brand awareness, purely due to the sheer volume of people you’re exposing your business to. Considering Facebook has over 2.23 billion monthly active members, your ideal customer is bound to be involved in one. However, Facebook’s ever-changing algorithms mean your shared content isn’t guaranteed to be seen by everyone in the community. Various factors—such as content relevancy and time of day—impact a Facebook posts’ organic reach, but you’re able to get around this problem by encouraging engagement on the native post itself. Another social media community you could check out is LinkedIn. 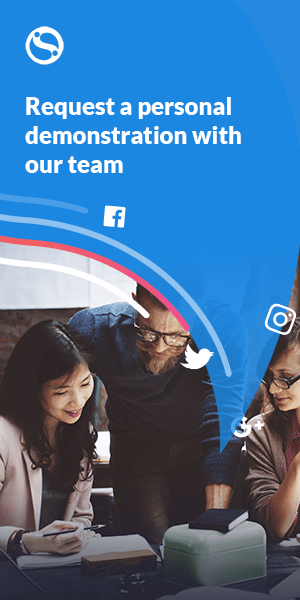 With 562 million users worldwide, it’s another great opportunity to find like-minded people who could be interested in what your business has to share. 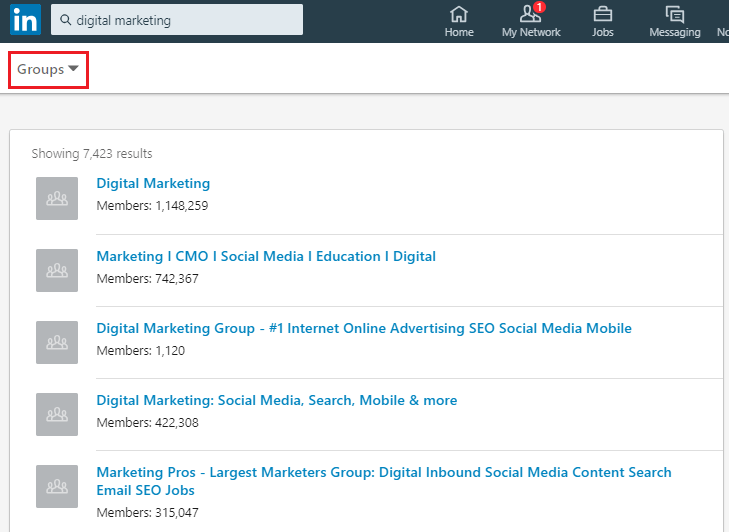 This tactic comes with a word of warning: LinkedIn groups tend to be very B2B focused. 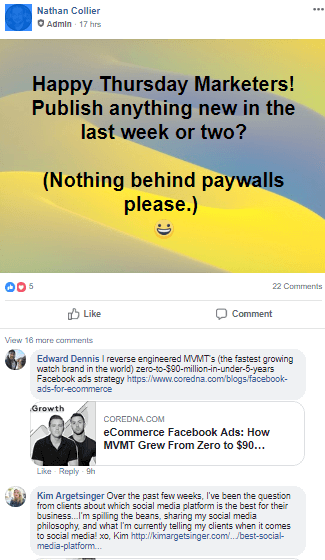 The platform itself was designed for busy, working professionals, so avoid using this social media community as your sole place for promotion if you’re targeting B2C audiences. Acting as a huge forum with sub-sections for each topic (known as ‘subreddits’), Reddit is an awesome way to find close-knit communities of people with a shared interest. 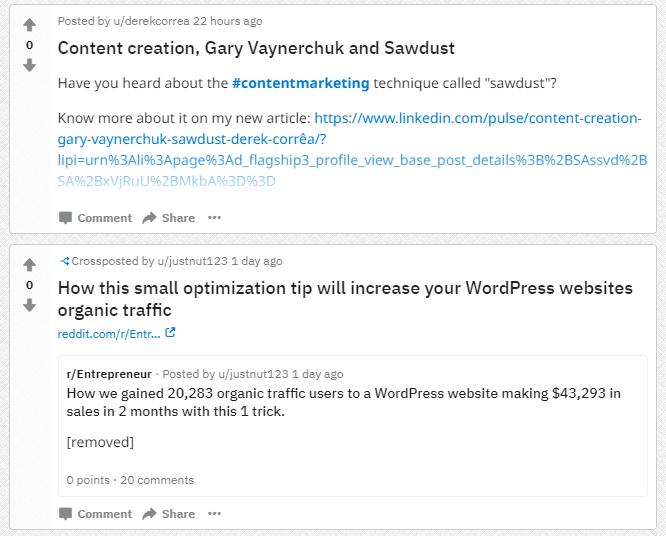 If you’re concerned that your business is too niche for an online community, don’t be afraid of searching the weird, wacky (and downright crazy) subreddits that exist on this platform. From social media marketing chats to photos of birds with photoshopped arms, there really is something for everyone. The only downside to using Reddit for content promotion? Users can be very picky with the content they engage with, and won’t touch marketing content with a ten-foot pole. However, you’re able to get around this problem by becoming a valued member of the community, rather than an obvious seller. Respond to questions, submit non-branded content and upvote interesting content. That way, the promotional content you do share won’t be shunned. Quora is a website that allows users to ask and answer questions on any given topic. And, because over 400,000 topics were available to browse even back in 2014, it’s super easy to find threads to contribute to. ...and sieve through the results. The only downside to using Quora is that it can take a while to build authority since you’re only posting one-off answers. 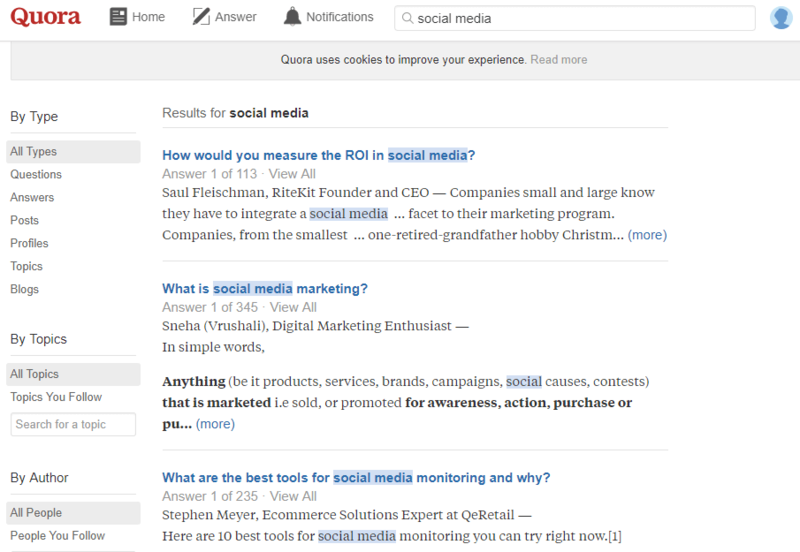 However, you can get around this by adding “respond to Quora questions” to your daily to-do list, and focusing on providing in-depth answers—linking to your website wherever possible and appropriate—for people to learn more. If you think you’ve found the perfect online community to promote your content in, don’t tune out just yet. There’s one more avenue we need to explore. Some forums are standalone websites, meaning they aren’t tied to a social media platform—like The Marketers Forum, for example. Since the creation, development and upkeep of these websites are done individually (rather than a huge site like Quora), the people involved in these online communities are likely to be more invested. They’re investing time and effort into maintenance, and want to make their standalone community the best around. But, with so many people wanting to get involved with a standalone community, it can be tricky to keep up with new submissions—making it difficult to see how your content is performing. Keeping on top of submissions, and filtering by “new” can solve this. Now you’ve found the places you’re going to promote your content, it’s time to analyze the content already being shared there. Why? Because it’s how we’ll discover the best way to contribute. Does content (similar to what you’re planning to promote) have good engagement? Has this topic been discussed before? Do people have a positive opinion on it? If you’ve answered “yes” to all three questions, great job! There’s a high chance of seeing success from the piece you’re contributing. But, if you’ve answered “no” to either, be careful. You don’t want to post irrelevant content that nobody’s going to engage with. That could see you get kicked out of the community entirely. ...none of which match my contribution. Bingo! That matches my contribution, giving me a solid idea that my promoted post will sit well with the audience. “When is the perfect time to actually promote my owned content?”. ...I’ll bet that question is running through your head now. And rightly so; The timing of your content is just as important as the topic you’re sharing. Joining a group and promoting your content straightaway can look too salesy. You want to build a rapport with the people in these online communities before sharing your content. Let’s take Reddit, for example—purely because it’s one of the hardest to crack. The platform is built for members to answer problems or questions, but don’t fall into the trap of linking to your website at any given opportunity. Reddit users tend to click on a member’s profile and check out their activity before trusting them, so use a 10% promotional vs. 90% non-promotional balance to prevent potential readers from spotting that you’re using the site for marketing purposes only. Just like any marketing activity, the final thing you’ll need to do when promoting your content through online communities is to measure how effective it is. You don’t want to be investing time and effort into forums, groups or websites that aren’t worth your while. So, make Google Analytics your best friend. You’ll want to discover which websites are sending the most traffic, but also take a look at which online communities have the highest time on site—which indicates your content is actually being consumed and enjoyed by the people you’re sharing it with. Alternatively, you can look at all of your referral traffic altogether to quickly evaluate which sites are already sending you traffic. To do this, you need to go to Acquisition > All Traffic > Referrals. Checking this data should be done periodically—immediately after promotion, a week after promotion, and monthly after that. That way, you can quickly find which online communities have the best return on investment, and focus on those for future pieces you want to promote. Are you ready to crack the whip on your new content promotion strategy? Awesome! As a regular contributor to many of the communities we’ve discussed here, I can’t wait to chat to you in them. However, there’s one step I really want to emphasize before you hit the “publish” button: Don’t start promoting your content straightaway. These communities have been built and nurtured through personal relationships, and so you shouldn't join them and start promoting your goods and services on day one. Truth is, if you’re not willing to invest the time to get to know the members of the group, don’t expect them to engage with the branded content you’re putting out there.